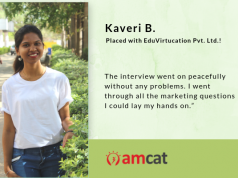 Hear how the AMCAT test helped out Arpita achieve her dream MNC job. 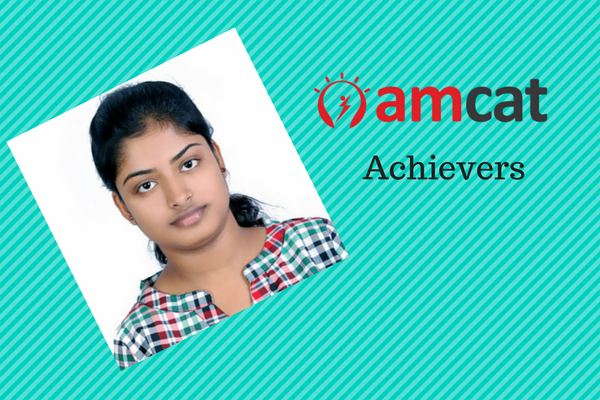 Arpita, a successful candidate placed via the AMCAT. An IT job for freshers, that too with an MNC? Quite a big deal in this tough job market. Don’t you think so? 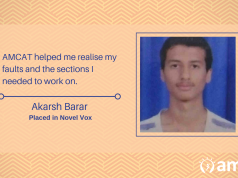 Let’s see how Arpita, a fresh graduate from Saroj Mohan Institute of Technology managed to kick-start her career in one of the top MNC, Accenture just by giving AMCAT. The aptitude rounds were a nightmare for me. AMCAT helped me a lot in this aspect. Q:How long did it take to get your 1st interview call after AMCAT? Q: Tell us about your experience post giving the AMCAT test and how AMCAT helped you in getting the job at Accenture? Arpita: I scored pretty well at AMCAT hence got a number of interview calls. Companies that hire through AMCAT are really big and offer good CTC. I am really grateful to AMCAT for my selection in Accenture. As a student of Computer Science, Accenture is one of the best company where I can start my career. Q: How many interview calls did you get after taking the AMCAT? Q: Would you suggest other job seekers to take AMCAT? If yes, why. 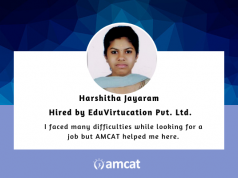 Arpita: Of course, AMCAT is one of the best platforms for freshers. It is an easy exam and they have tie-ups with some really good MNCs.